Having the proper gear is essential to any fisher whether you’re a hobbyist or a professional. Every angler needs the equipment they need to in order to guarantee their success. It’s not just about having the right tackle, the right pole, or the right fishing line but also good polarized fishing sunglasses. Polarized sunglasses can end up being a complete game changer to your fishing haul. An activity that relies on your senses like fishing can really benefit from a good pair of sunglasses. You’ll immediately notice a huge difference in your senses. However, finding the best polarized fishing sunglasses is not an easy task. You’ll have to work towards getting a pair of sunglasses that fit your basic needs. There’s a lot to look out for and it can get fairly confusing. With so much information out there, it’s hard to separate fact from fiction. Thankfully, this guide should serve to help you with that process. This way you will be able to get good cheap fishing sunglasses with ease. That said; let’s dive into all the different aspects of polarized fishing sunglasses. all when it comes to frames. There are all kinds of different shapes and sizes of frames out there. Some will serve you better than others. You will need to decide what kind of frame will better suit your needs. Some frames are designed to be more stylish than others while some will be more durable and functional. Ideally, sunglasses with lightweight rims will be more durable and stay on your face better. Likewise, rimless sunglasses are designed to be more fashionable but aren’t as functional as rimmed glasses. Some sunglasses even have wider frames to allow you to wear your prescription glasses underneath them. Materials will directly impact how your polarized sunglasses look, feel, and function. The first thing to consider is the material of the frames. There are a bunch of different material types offered from PVC plastic to metal and even nylon. Each type of material carries its own weight and feel, as well as it how long it can last. Metal will be more durable than plastic but will have the chance of potentially rusting. Likewise, plastic will be much less durable than metal frames but will offer resistance against rusting due to sea spray. Generally, you want to aim for a nice compromise between weight, durability, and comfort. Balancing these aspects will give you a fairly substantial option. Having a high quality pair of sunglasses will always be better than having a substandard pair of polarizes sunglasses. Everything from the quality of the frames to the quality of the lenses will impact your experience. You want something that can hold up reasonably well even with a heavy amount of use. The hinges of the sunglasses are one of the main things that are worth inspecting. You also want to make sure that the frames are resistant to the elements and will stay intact especially in fishing conditions where there is more salt in the air. Another thing to look out for is the quality of the lenses. You want to be certain that they can last a very long time. A good pair of polarized lenses will be able to resist scratches, smudges, and heat cracking. Lenses are the focal point of polarized fishing sunglasses. It’s why there needs to be extra attention towards the type of lenses you want to use. There are two basic types of polarized sunglass lenses, polyvinyl carbonate or PVC, and glass. Each of them has their own features and drawbacks to them. You will generally notice a big difference between the two lens types even among the same brand of sunglasses. 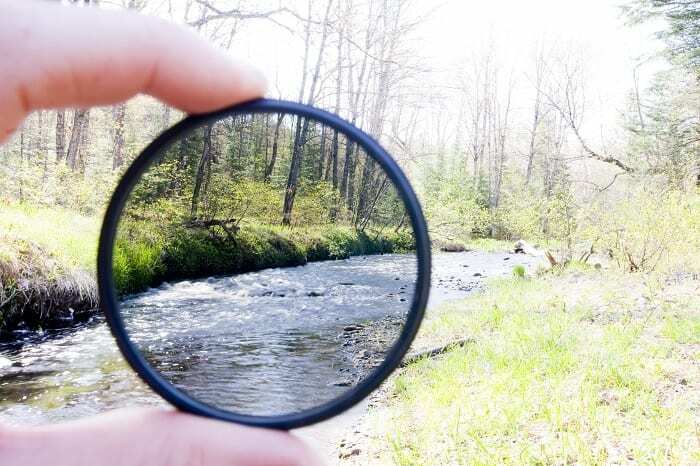 PVC lenses are lighter in weight and less fragile than glass lenses but they are more prone to scratches over time. Glass lenses, on the other hand, are heavier and more fragile but they offer better scratch resistance. There’s no clear winner here, different people will prefer different lenses based on their preference and use case. It’s best to just try out both of these types and see which ones you would rather prefer. There’s no doubt that if you’re out there fishing for several hours, you need a pair of sunglasses that don’t cause you any discomfort. This is why it’s important to gauge the comfortability when buying sunglasses. One of the things that you need to take into account is the weight of the sunglasses. Sunglasses with PVC lenses are generally lighter and much more comfortable than sunglasses with glass lenses. However, it’s not all about the weight of the lenses. You also need to consider the weight and design of the frames. You can opt for lighter materials like plastic or slightly heavier materials like aluminum. The design of the frames will help determine how the weight of the sunglasses will actually feel. There are frames that are better at distributing their weight than others. It’s not uncommon to have a heavier pair of polarized sunglasses that feel more comfortable than a lighter pair. Arguably the most important part of buying polarized fishing sunglasses is figuring out which color to get. It’s not just something that is there for looks but will also affect your functionality. Different color of polarized lenses will provide visibility for a variety of different situations and the importance of lenses color is crucial in sight fishing. Before you go out and get the best polarized fishing sunglasses you can buy, consider what you will end up using them for. Here are some of the basic colors of lenses that you will come across and what kind of functionality they provide. Grey provides a very neutral tone to the sunglasses. It is very versatile and allows all wavelengths of light to filter through equally with little to no color distortion. Grey lenses are best for use in Stillwater, freshwater, and river fishing. Amber is more preferred for dull lighting situations such as overcast weather. It provides a much more comfortable light filter and heightens the contrast with a little bit of color distortion. These lenses are good enough for basic fishing. Green lenses are good for just about any situation. They can provide protection in direct sunlight or provide contrast on cloudy days. Green lenses will remove brown light making them ideal for use in dirty or murky water. Yellow lenses work best in the shade with decent visibility. However, they’re not ideal for use in the sun. Yellow lenses are typically recommended for low light environments where no harsh light is present. There are all kinds of price brackets available for polarized sunglasses. You can opt for good cheap fishing sunglasses or throw down some more money to get a premium pair. Generally, you want a good balance where you buy a pair that the best value for money. Buying a cheap pair of sunglasses that don’t work as good is useless and so is buying an expensive pair that offers similar functionality to cheaper glasses.